(RNS) — The number of Christian refugees coming to the United States from the countries where Christians are most persecuted has dropped dramatically under President Trump’s administration. That comes despite the president’s pledge during his first week in office that helping persecuted Christians overseas would be a priority for his administration. Thousands of Syrian refugees walk in order to cross into Turkey on June 14, 2015, in Akcakale, Sanliurfa province, in southeastern Turkey. (AP Photo/Lefteris Pitarakis)According to a new analysis by Matthew Soerens of World Relief, an evangelical Christian organization with a long history of resettling refugees, the number of Christian refugees admitted to the U.S. from countries noted for their persecution dropped nearly 79 percent between fiscal years 2016 and 2018. “This dynamic with persecuted Christians and religious minorities, in particular, does not fit the campaign rhetoric, and it’s not consistent with the focus on international religious freedom that I think is an admirable goal,” Soerens said. Soerens based his analysis on numbers from the U.S. State Department’s Refugee Processing Center and the 11 countries where Open Doors USA reports Christians face the most persecution: North Korea, Afghanistan, Somalia, Sudan, Pakistan, Eritrea, Libya, Iraq, Yemen, Iran and India. “The number of people who are coming from many of those countries is 20, 23, 26 — to me, you could put them all on a small bus — compared to thousands who were coming in any given year of the previous administration or of the Bush administration,” he said. 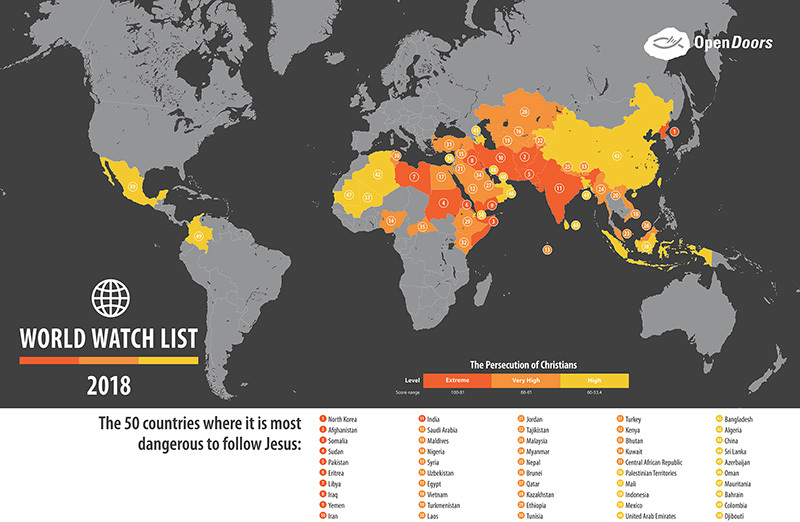 The 2018 World Watch List compiled by OpenDoors where Christians are most persecuted. Map courtesy of OpenDoorsThe total number of Christian refugees admitted since 2016 declined about 57 percent, according to the analysis. The decline in Muslim refugees is no surprise, said Soerens, given that Trump pledged during the 2016 presidential campaign to temporarily ban Muslims from entering the country and signed an executive order soon after taking office that impacted travel from countries with large Muslim populations. 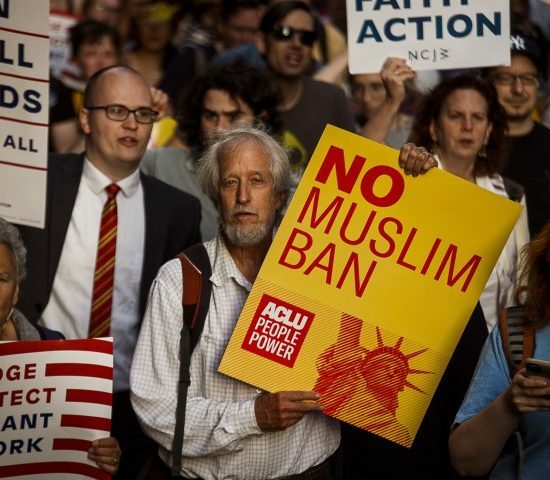 Many viewed the executive order as a Muslim ban. Trump has set the refugee ceiling for the current fiscal year at 30,000 people — the lowest in the history of the U.S. refugee resettlement program, which started in the 1980s — despite calls from many people of faith to raise it to at least 75,000. The president already had slashed that number dramatically when he set it at 45,000 his first year in office, a drop from 110,000 in Obama’s last year in office. 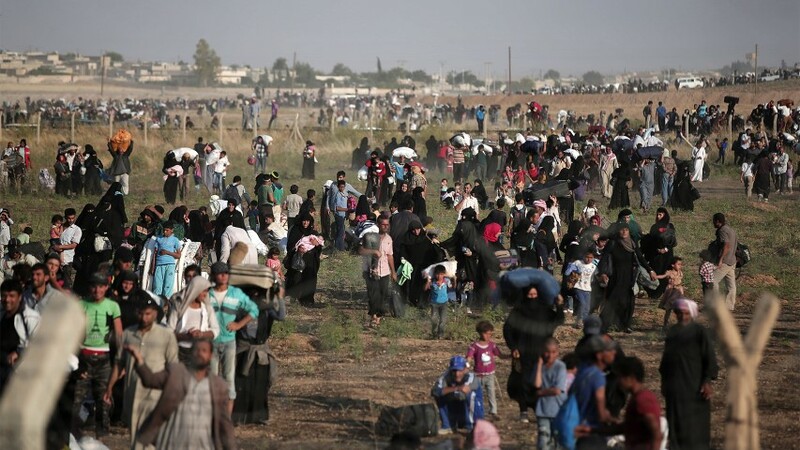 The country admitted a fraction of that number in fiscal 2018: 22,491 refugees.